The greatest athletic feats captivate and inspire us. 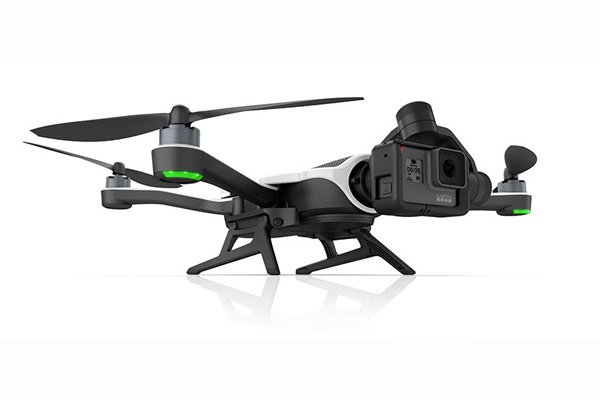 Now, capture even more memories with GoPro’s new ultra-compact drone, Karma. The renown sports and action camera manufacturer has unveiled a brand new, remote-controlled means of capturing acrobatics in the act. Very lightweight, Karma can be slipped right into your backpack. Once on location, the drone will use its 10-inch propellers to move around and capture your best exploits, from near or far. Karma can film close-up or from above, at 4,500 metres. Flying at 10 m/s, Karma ($1,055) comes with a Karma Grip Handle, an external controller with HD screen and a rechargeable battery with 20 minutes of autonomy. This flying companion is also compatible with iOS and Android phones and HeroBlack5, HeroSession5 and Hero4 cameras.